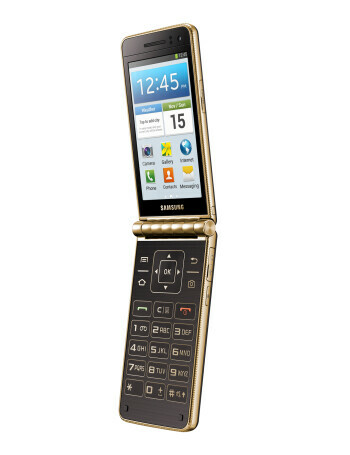 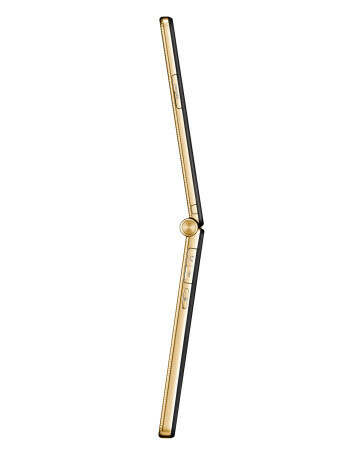 The Samsung Galaxy Golden is a clamshell smartphone running Android 4.2. 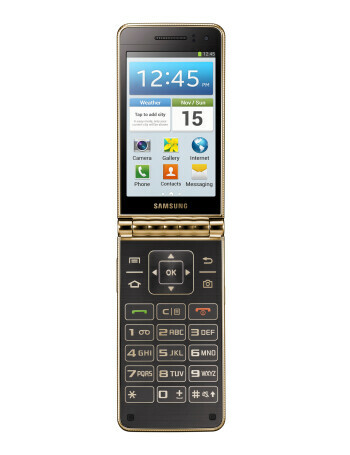 It features two SAMOLED displays (480 x 800 pixels), 1.7 GHz dual-core processor, 1.5 GB of RAM, 16 GB internal storage and 8 megapixels main camera. 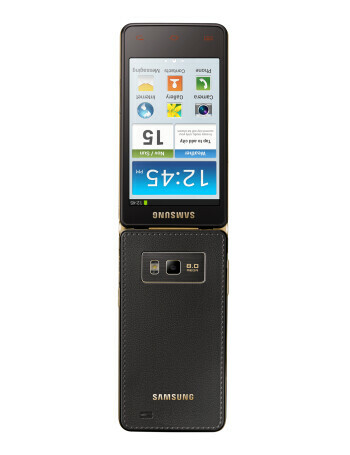 MicroSD slot, dual band Wi-Fi and Bluetooth 4.0 are also available.